I remember this time last year fairly vividly. Then things get a little hazy with a year packed of new experiences, new projects, family, new friends, renovation beginnings and a life full of stuff. If anything, 2016 was for me the Year of Stuff. It was a year of letting go of various projects and hobbies and commitments and refocusing on the immediate priorities. 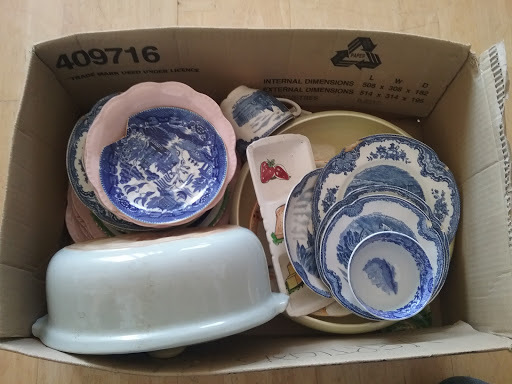 When I write about stuff I am talking about the copious boxes of possessions I have dutifully accepted into our house via my mother-in-law and my deceased father-in-law. 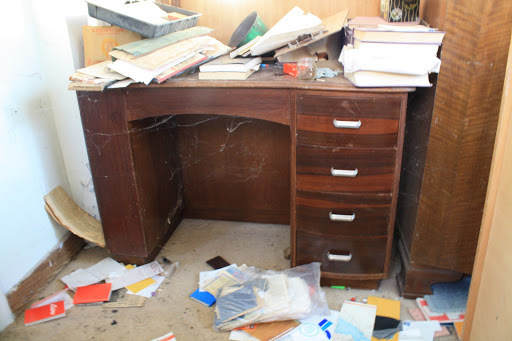 Possessions that have sat collecting dust, getting shifted from one spot to another, getting damaged and wrecked and consumed by insects, rodents and weather. It has been an experience that has driven me to thresholds I have not witnessed within myself before. As a result I have had to find new ways of dealing with stress levels. Not just ordinary stress levels. Continual, relentless, underlying stress that just drains personal energy. And there have been things in life to attend to. Kids, finances, house renovations, family issues and concerns, health matters, food considerations. In my spare time, I go to work! I am trying to convey that I have felt as though I have been swimming in a soupy mire of …. stuff. I am recording all of these observations because I have persevered with it all. I have not given in. I have kept on keeping on. Always with several dominating thoughts in the murkiness of my mind. I kept focusing on what the end goal was going to look like and how it is going to feel. The energizing feeling that creeps in once another box of stuff was let go of, or another box of paperwork was released to the compost bin. Items given away, sold, thrown out or recycled. The difficulty has partly been the fact that a lot of it isn’t anything that belongs to my wife or I – and my mother-in-law is not one to let it go. I learnt pretty quickly that a box of stuff to go to the charity store should go straight into the car. If left by the door it is found, reacquainted with, and is suddenly something that cannot be removed because it may be required one day or it has immediately gained value beyond measure. I have formed the opinion that this ‘dis-ease’ infestation of not being able to let stuff go is what has caused so many of the health concerns of my in-laws. I think from what I have personally witnessed, that there is a high measure of truth to this. Living at this level of physical accumulation of things is not sustainable. Treasured boxes of things have actually been reduced to boxes of paperwork that has been ‘processed’ through our chicken yard to create a sustaining soil for the multitudes of plants I have propagated to set up the new garden project. It has taken us years of sorting out stuff. I’ve taken ute load after ute load of items to charity stores, furniture stores, rubbish tips and tip shops. Two houses worth of stuff has been released to the public vias garage sales (Yuk! ), auctions and either facebook or ebay. And I must say that none of it really scored us big money. Especially in this economy. It actually is costing us. In more ways than one. So, it makes me wonder – was it ever worth hanging onto any of it for the length of time my in-laws had it? Was it really worth the hurt and anguish and mental energy to hold onto it and covet it? I know that over the years some of the better stuff actually just walked itself out of their lives. People just literally removed it from under them. I don’t think this is right and there is probably some karmic magic circulating out there around this. But my wife and I have also had to acknowledge that we have to let these things go and get on with life. It is coming to an end, but there is still a long way to go because so much of life is still calling our attention. There are ‘bushfires’ to be putting out, dramas unfolding that need resolutions. Worthwhile causes that demand our attention and then lead us into new battles and new experiences. I have come to accept that our current life if simply tight. There is barely any room for negotiation and even less room lest anything goes awry with a family members health or mental health. But there is also another thought that goes through my mind often. Someone else out there is having it worse than this, and it will not be like this forever. So I shut up and continue to continue. There is above all, a new space being cleared. It is the old house that is being made new again – and with it will come a new garden, a new way of life and new opportunities. I know this, because I can see it in my minds eye. And that is where the focus is.